IntraCELL packs in a massive 14g of BCAAs per serving - if you take a BCAA capsule supplement that would mean 28x500mg capsules in ONE serving! In addition to this Boditronics have added Citrulline Malate, L-Glutamine, Taurine and Electrolytes to produce a supplement that will supercharge your recovery even before the workout has finished, and keep you hydrated. 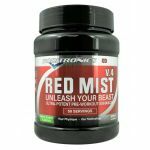 If you haven't tried intra-workout supplements before, make this the product you try and we're sure it won't disappoint! Available in 3 flavours: Zesty Lemonade, Orange & Passionfruit and Forest Berries - our pick is Berries! At Echo we always advise customers to read the nutritional information on a supplement to know what you're REALLY getting. This is where IntraCELL really stands out among many other similar products. 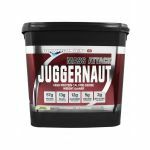 The 750g sized tub provides 39 servings so should last around 2 months if you train around 4 times per week. 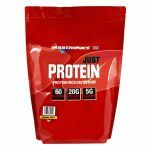 There is also a 375g sized tub which is ideal for trying out a new flavour. Boditronics IntraCELL is a precise, scientific blend of Amino Acids consisting of the proven 2:1:1 ratio of Branched Chain Amino Acids (L-Leucine, L-Isoleucine and L-Valine), Glutamine, Citrulline, Malate and Vitamin B6 that will give you the energy you need to maximise training while enhancing recovery at the same time. Boditronics IntraCELL also includes an Electrolytic Blend to help re-hydrate the body and replace essential salts to keep performance to the optimum. Complex Carbohydrates are also included to help replenish Glycogen levels and provide energy while training. Boditronics IntraCell - What Does it Do? Mix 1 level scoop (25g) in 500ml of water and shake well. Split the dose before and during your workout: consume 1 serving (1 scoop) immediately post workout.